Are you looking for a good throwing tomahawk? Throwing a tomahawk is very fun, even more fun than throwing a knife. 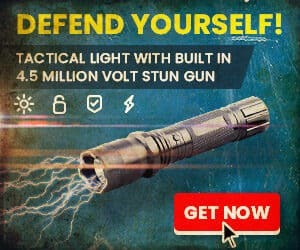 It gives you the same rush of throwing a knife, but with more power. When you hear the “thud” the tomahawk makes as it hits its target, it feels stronger and louder than the “thud” from a knife. This article will discuss what you should look for in a throwing tomahawk, three best-selling tomahawks that you can use for throwing, and a buying recommendation. Unlike traditional axes, a throwing tomahawk is designed as a combat weapon. Yes, you can cut down a tree with it as well but it also works for smashing through doors, close quarter combat, and throwing. Many tomahawks are used by the military since they are so versatile. The throwing tomahawk also differs from the throwing axe because a tomahawk is a special type of axe. 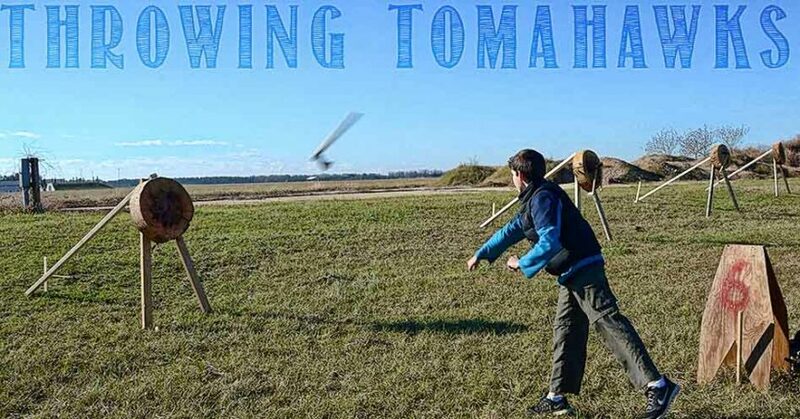 In a throwing tomahawk, you would want to make sure that the weight and lengths are right for you. Longer handles result in slower spins. Larger weights also results in slower spins. The slower spin can give beginners an easy way to adjust their throw. Larger weighted tomahawks also provide a bigger impact and can travel farther than smaller tomahawks. These things are also true for throwing knives. The handle must be of high quality. A slippery handle would not do you well when cutting or throwing. A sticky rubber handle won’t last long and will get in the way when you throw. Good choices are paracord (550 cord), grip tape, and even grooved metal. The sheath must be of high quality. A blade with a poor sheath is a disaster waiting to happen. A poor quality sheath will also not protect the blade and can reduce it’s life. Cor-ex and leather are good sheaths. Nylon is ok. The tang is the part of the blade that extends into the handle. No tomahawks here have full tangs because it is rare to find an axe with a full tang (too heavy and not designed like that by tradition). However, the junction between the tang and handle must be strong. Traditional axes have wooden handles that are just jammed into a hole in the axe. This is not good for throwing since it can easily fall apart. Throwing tomahawks usually have 3 screws to hold the head and handle together. The metal of a tomahawk is usually stainless steel but you can find some carbon steel tomahawks. Carbon steel is harder than stainless steel so it will retain a blade longer; however, carbon steel will rust easier than stainless. Stainless steel is soft compared to carbon steel and won’t crack if it hits a hard object. The SOG Fast Hawk is one of my favorite toys. SOG is a company formed by a few special forces veterans who wanted to produce great field equipment. The Fasthawk is no exception to that. It is 12 inches long and weighs 12 ounces. The head is made of stainless steel and the handle is made of polymer. There are 3 bolts that secure the head to the handle. This Fasthawk is a scaled down version of SOG’s Fusion Tomahawk–a Viet Nam era tomahawk replica. The smaller scale makes the fasthawk spin faster when you throw it. It is also easier to carry on a hike or ruck march. The handle has a 2.75-inch blade that is very sharp as well as a hard spike at the opposite end. The hard spike is not sharp and would not stick into wood unless you sharpen it. The Fast Hawk fits in your hands very well and the polymer handle has a good slip resistant grip to it. The Fast Hawk comes with a nylon sheath that is good but not great. The nylon can feel a bit cheap. The sheath has a belt loop. All SOG products come with a lifetime guarantee and, most likely, you won’t need to use that since this product feels very secure. It is great for combat, breaking down doors, close quarters fighting, as well as throwing. 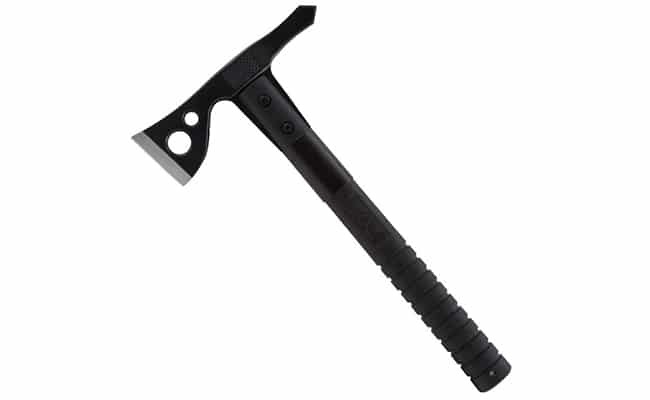 This is one of the best selling tomahawks on Amazon and is rated 4.5 stars. 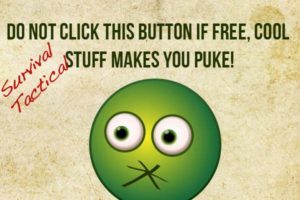 Most reviewers simply love this product. People mention how they gave the Fast Hawk as a gift and their recipient loved it. The rival to the fast hawk, the trench hawk is an OK alternative. This is Cold Steel‘s answer to SOG’s Tactical Tomahawk, the Fasthawk we reviewed earlier is a scaled-down version of the Tactical Tomahawk. The Trench Hawk Axe is made of carbon steel, whereas the Fasthawk was made of stainless steel. Carbon steel holds a blade better than stainless. It is 19 inches long and weighs 4 ounces–I’ll surely give you a loud thud when you hit something. 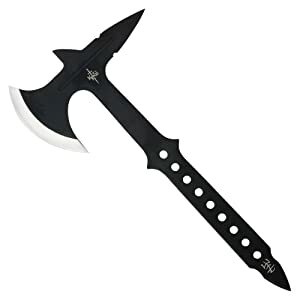 Unlike the Fasthawk, the Trench Hawk Axe features a sharp spike at the end. This is useful for self-defense as well as hitting targets from odd angles. The handle is made of Polypropylene, a very stable and secure plastic. There were some reviews that stated that the handle would break after hard use, but those reviews were rare and I felt that some serious abuse was going on (like throwing at cement). The real issue with the handle that I’ve found was that it is a bit slippery. This is good if you wanna throw the ax but bad if you want to chop down stuff. The sheath is great. Made of Secure-ex, the sheath attaches great to MOLLE or any other military gear. It is much more stable than the nylon sheath that came with the fast hawk. This sheath also allows you to carry it on your belt. 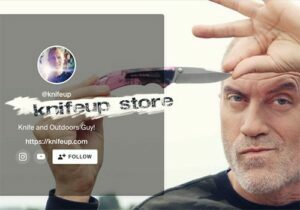 A big issue with this knife is that the design limits you from doing camping chores with it. Cutting wood can become difficult if the wood hits the handle and gets stuck there. If you want a cool throwing tomahawk that can also do camp work, I would go with the Fast Hawk. SOG is one of the world’s leading knife brands and for good reason. I own several SOG knives and it’s no accident that I’ve never really come across any serious negative criticism of any SOG product. The original SOG Voodoo Hawk was designed as a combination of a tactical Tomahawk and FastHawk. This Voodoo Hawk Mini is smaller and lighter while featuring the same components. It has an extended cutting head, spike for piercing applications, compact glass-reinforced nylon handle, and metal pommel cap. The Voodoo Hawk Mini has everything the Voodoo Hawk has but in a smaller, compact form making it great for outdoor travelers like backpackers, hikers, hunters, or paddlers. 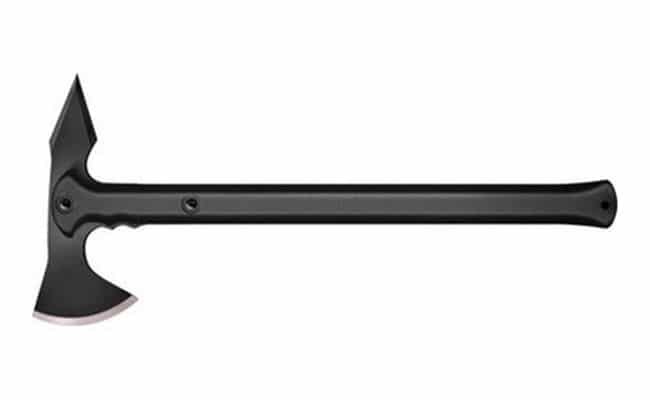 The durable glass-reinforced nylon handle can take a beating and not fall apart. This deal includes a nylon sheath to round out the high-quality package. 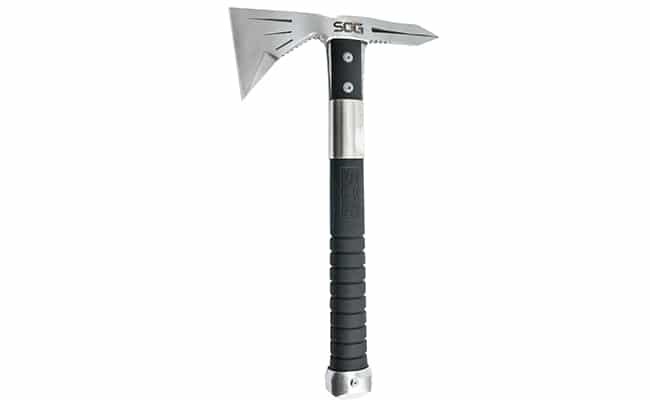 The SOG Voodoo Hawk Mini is among the highest quality tomahawks on the market. The Fasthawk is a great choice. Out of the 3 top selling throwing tomahawks we have discussed, which one is the right one for you? Well, if you are new to throwing blades and just want to get a feel for it, I highly recommend the SOG FastHawk or the Trench Hawk. Both are excellent hawks for both beginner and expert. If you’re up for a bit of an upgrade all around and budget is less of a consideration than other issues like “wow factor”, quality, durability, etc. then definitely choose the Voodoo Hawk Mini. That’s it, guys. Post any questions you have in the comment section below. Nice article. 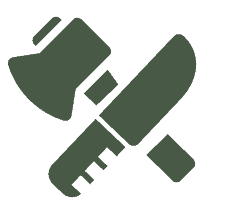 I like the SOG Tactical Tomahawk myself, however, let’s be realistic in the fact that throwing tomahawks is more or a hobby than a practical survival skill. That “fasthawk is trusted by Rangers” picture looks to me more like a picture of a bunch of guys in uniform holding ATC VTACs or something similar. I don’t see the holes in the heads that the SOGs have. Author contradicted himself. First he says “No tomahawks here have full tangs” and then he proceeds to recommend the full tang Black Ronin. As for the handles falling out of the wood-handled hawks, people who throw them do so because they feel the very fact that the handle will pop loose on a bad throw will reduce the chances of it breaking. A minor WTF in paragraph five—what does the sheath have anything to do with how well it throws? I get that the sheath is all part of the experience of owning it, but I’ll take a crappy sheath and an excellent thrower over a great sheath and and a good thrower. 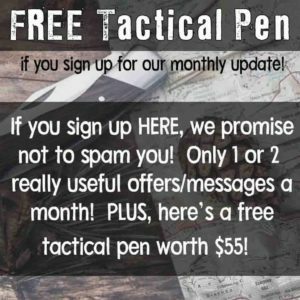 A minor WTF in paragraph six—I can think of a number of full-tang tactical tomahawks and, in fact, one of the ones reviewed is. In fact, when you get to the actual review of the United hawk it states that it’s full tang. A major WTF in paragraph six—traditional, wooden handled hawks are not good for throwing? Wow. The friction fit design is bad for throwing? Double wow. Ignoring the fact that every competition I’ve ever seen was won by traditional, wooden handled hawks, there’s also the fact that when the hawk is spinning, end over end, that force will keep the head right where it belongs. On top of that bolts or rivets or screws or whatever that attach the head to the haft are a major point of potential cracking and failure. A major WTF in paragraph seven—carbon steel is harder than stainless? Stainless is less likely to crack under impact? There are always exceptions, but most common forms of stainless steel are harder and more brittle than 1055 and up carbon steel. This is just basic metallurgy. Either of the major WTFs are review enders, in my opinion, and make the whole thing worthy of public ridicule. The trench hawk is made of 1055 carbon steel, of course its freaking more expensive, and what do you mean by getting stuck in wood??? The SOG brands are great and THEY WILL STICK ON THE SPIKE right out of the box. They are sharp enough to aid you into sticking it in to diff tree types. Pine is the best. Usually when looking for a hawk you want 1.5oz for every inch in length. Stand about 5 normal steps away from your target and “shake hands” with the hawk. Meaning hold it like your shaking someone’s hand not like a hammer almost like a fishing pole when casting out. Make sure the blade is in a straight line with your arm as your taking practice throws. When you feel like its there just open your hand and let them slide out. All of these will come out and stick into a pine log. i want a black ronin so bad. i want to get three and make a sheat to fit all three. i totally agree that the sog is the best but i want the black ronin strictly for throwing so it seems like a reasonable buy.